With the 30th annual Lake of the Ozarks Shootout and Super Cat Fest events last week officially in the books, there aren’t many major—key word, hence the italics—happenings left in the 2018 go-fast boating season. Of course, there is the typically massive Lake Cumberland Poker Run Sept. 7-9 in Kentucky and the stunningly beautiful Lake Powell Challenge Sept. 13-16 in Arizona, a couple of houseboat-city-paloozas that should be on your event to-do list. (Jason Johnson, my fellow offshoreonly.com columnist, will be on scene to cover the Lake Powell event next month.) 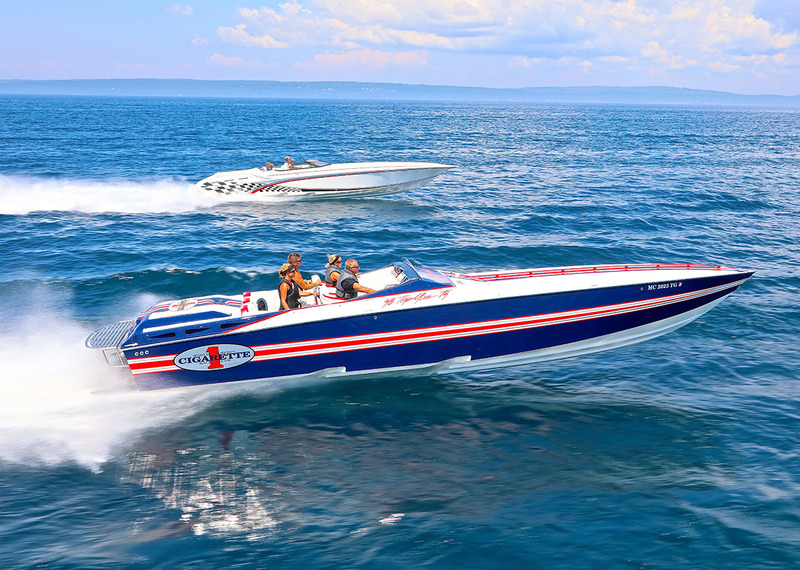 But for the most part, that’s about it until the Florida Powerboat Club’s Key West Poker Run, which runs concurrently with the Super Boat International Offshore World Championships, in November. Your easiest path to the 2019 Boyne Thunder Poker Run could be through Key West, Fla. Photo by Pete Boden/Shoot 2 Thrill Pix. Like many of you, I look forward to that season-ending debacle in the city at the end of the road. (And by the end of the week in Key West, I look just as forward to leaving the place.) Johnson and I cover the Wednesday, Friday and Sunday SBI races for speedonthewater.com, as well as the poker run and its assorted activities, so we don’t lack for professional obligations while we’re there. But while we work hard—a lot harder than we did as Powerboat magazine writers and editors when content production was monthly rather than daily—we still get our share of downtime fun. The highlight of Key West for us, of course, is the annual Speedonthewater.com/Offshoreonly.com Bash on Thursday evening. Earlier this summer, we started brainstorming ideas for the event with offshoreonly.com moderator Greg Harris and his girlfriend Yvonne Aleman, and while we’re still in the planning process for the Nov. 8 party at the Sandbar Sports Grill, which will run from 7 p.m. to 10 p.m., we have nailed down a few key details. 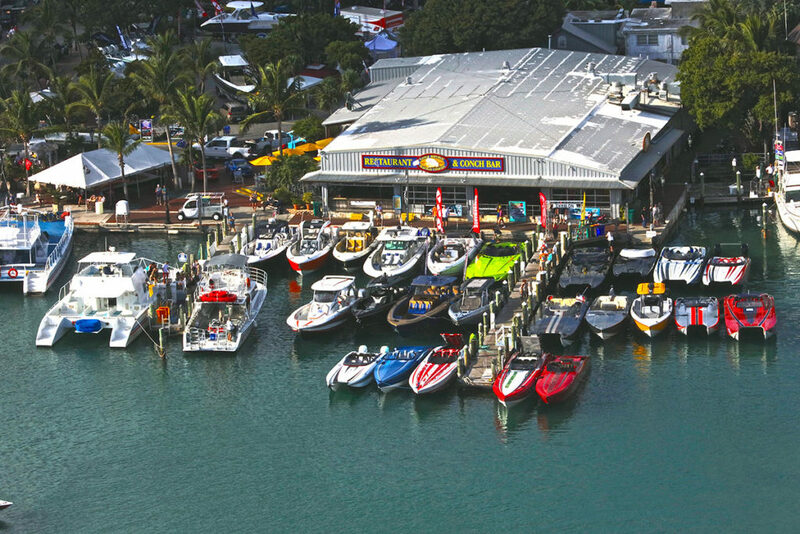 Once again, speedonthewater.com and offshoreonly.com will combine to take over the Sandbar Sports Grill on Thursday night during the Florida Powerboat Club Key West Poker Run and Super Boat International Offshore World Championships during the second week of November. The proceeds from the event’s silent and live auctions will once again go to Key West-based Samuel’s House, which is “a safe haven in a sober setting for women and intact families that have no home,” according to the nonprofit organization’s website. Last year, through your generosity we raised $10,400 for the charity. This year, we hope to double that. That’s a lofty goal, for sure, but one we think we can achieve. To that end, we’re assembling our usual list of killer auction items, the centerpiece of which will be something we’re calling the “Speedonthewater.com Boyne Thunder Poker Run Experience.” The winning bidder on this item will walk away with one free guaranteed entry with dock space into what could be the toughest ticket of any go-fast boating event season, three nights at the Boyne Mountain Resort and two or three complimentary dinners (we’re still working out those details) at Boyne City, Mich., restaurants. As always, the Key West Poker Run will be the final event of the performance boating season. Photo by Pete Boden/Shoot 2 Thrill Pix. Of course, there will be the usual cool event T-shirt giveaways, generous drink specials and free snacks for the event, but based on the Boyne Thunder Poker Run Experience auction item alone this bash will be worth your time, if for no other reason than to see what that package fetches for charity and who does the fetching. Yeah, I know that Key West is a little more than two months away. But it’s never too early to start planning for what is sure to be a memorable happening—and one that could get you all the way to Northern Michigan seven months later for another event you’ll never forget.